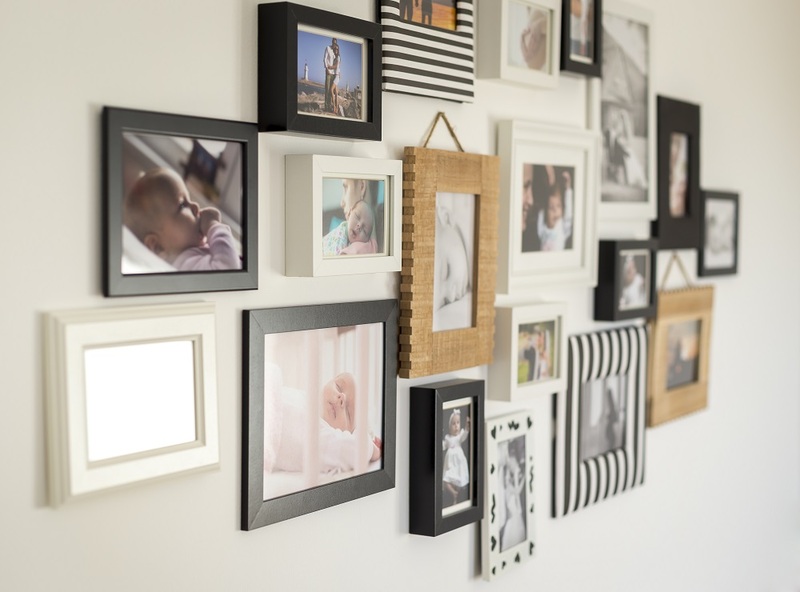 Curating your own exhibition of beautiful photographs or prints that mean something special to you and your family is not only a satisfying way of showing off your pictures but also a great way to add interest to a room by creating an unusual focal point. Consider the overall look of what you are trying to achieve. Do you want matching frames? Will they all be the same size? Perhaps you want a single colour, but beyond that anything goes? Having matching frames, in colour or size, can make a bold statement and is easier to do than you might think with a can of spray paint from any good craft or DIY store. 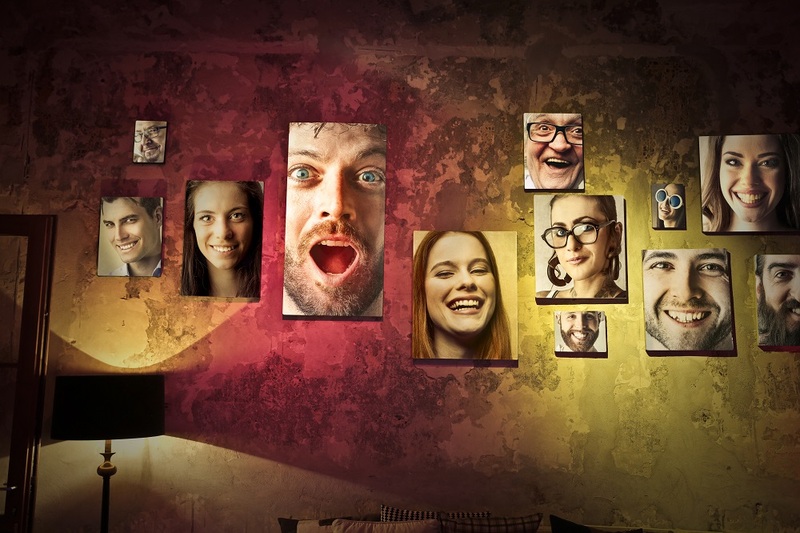 Avoid making mistakes on the wall by laying out all your pictures on the floor first. Start with your favourite image and work from there. Once you know where this will go – and there are no rules to say that it must be central to your layout – add the other frames around it, leaving a gap of around 5-8cm between each frame. Keep the distance consistent and you will hold your gallery together nicely. You will get a good idea of how it is going to look and you will spot any potential issues, such as the same person dominating a corner of the display or too many people looking in the same direction in several photos, before you take to the wall with your hammer. Keep trying different options until you are happy with the design and how the pictures work together. 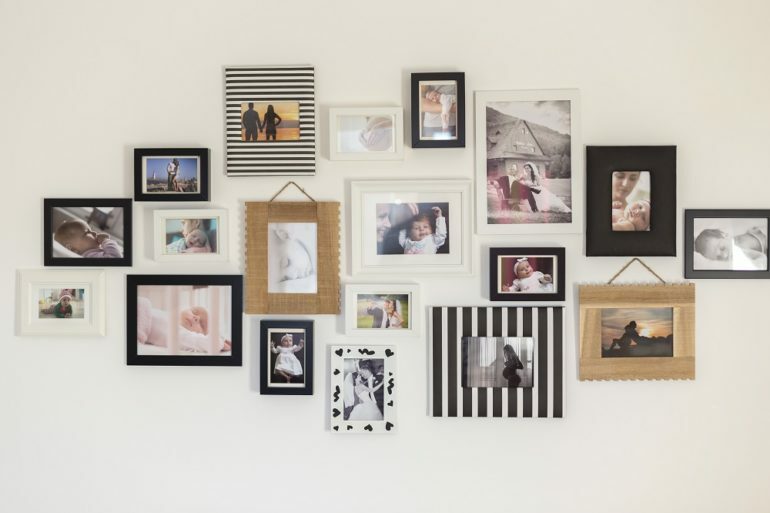 If you are still unsure, use pieces of paper the same sizes as your frames and attach them to the wall using sticky tack. You can then see exactly what the layout will look like in situ. The most important tool you will need to create your photo wall is a spirit level. If your measurements are even slightly off, an eye will be able to pick this up from the other side of the room. It is better to check and check again than to get it wrong. If your frames do not already have fixings attached, you will need screw eyes. Use the spirit level to check the holes are in the right place and then attach the picture hanging wire. Keep the spirit level handy, as you need this for positioning the picture hooks. You will also need a tape measure to ensure that you allow enough space around each picture and to get the hooks in the right place. Once you are sure, use a claw hammer and nails or picture pins to start creating your gallery. Centre the photo frame on your hook in the wall and use the spirit level to make any final adjustments to the frame on the picture wire. Once all the frames are in place, stand back and admire your collection!